At Orange City, California, an interesting message found in the plaque at the base of the fountain located at the center of the Orange Plaza states that whoever passes in that area, he or she is urged to recall the brave people in the Orange community who have served the country. True to the words in the plaque, Orange City is home to many brave people who defended the country against uninvited invaders. To this day, the people of Orange city are fighting a different kind of battle - the battle against sickness. There are many factors contributing to this. One of which is the diseases and other health problems caused by unclean air. Unclean air can be anywhere. Primarily, air can be unclean when you are outside your house. However, this does not discount the fact that unclean air can also be found inside your homes. This is generally due to a malfunctioning air duct system. Air Quality Testing can be done to see whether only Air Duct Cleaning is needed, or perhaps, replacing the entire air duct system. For these services, we, at Air Duct Replacement Orange are proud to say that we are one of the country’s leading service providers in terms of Air Duct Replacement, among others. With this said, what are the factors needed to determine whether the need to replace air duct filter is needed? The first, and by far, the most important factor, is identifying the type of ductwork system that you have. If you have a new home, general rule follows that the ductwork may most likely be easier to clean. If the type of ductwork in your home is fiber board, it may not be easy to clean. 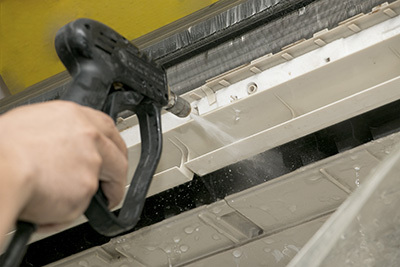 If it is a metal ductwork, with no interior lining, cleaning can be easily done. Another type of ductwork is plastic. This could mean a flex ductwork. The interior could typically be made of a wire coil which is covered with a flexible plastic wrapping of insulation and foil. With these types of air duct system, so long as the contaminants are dust particles only, cleaning may not be a challenge. However, if mold is present, and the level of contamination is high, replacement may be the next option. 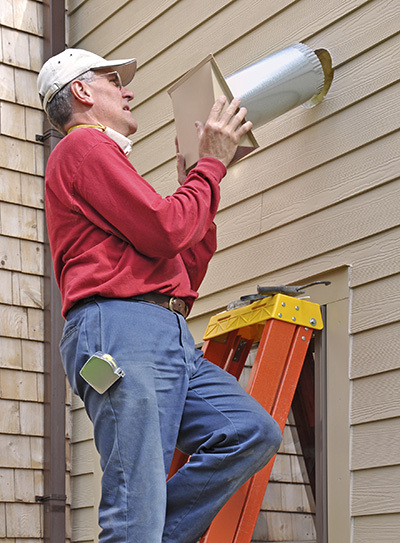 Our company Air Duct Replacement Orange also sees some exceptions to the above mentioned factors. At the start of the Air Quality Testing process, we will do a blower door test. This would determine whether air leakages are present. If this is the case, the problem of your ductwork may have started in the HVAC (Heating Ventilation and Cooling) system. For this, the entire system may need to be better sealed. Air leakages are known to attract dust and other particles into the system. Thus, the success of the entire process boils down to the quality of the system installation. Reputable companies, such as ours, Air Duct Replacement Orange have been to so many houses requesting for either cleaning or system replacing. Most of the problems started because the system was poorly installed. Therefore, it would be best for you to hire a company which provides the best type of service - a service which is not only meant to be appreciated one time, but for the entire duration of your staying at your home. For more details on the services we offer, please do not hesitate to contact us.